drivingandlife: WHO FOUND THE 'UGLY PILLS'? Someone once said there’s a fine line between beauty and ugliness; but in this instance Infiniti not only crossed it, but went a bit further down the road. This is the QX80 design study which will be shown this coming Wednesday at the New York Auto Show. 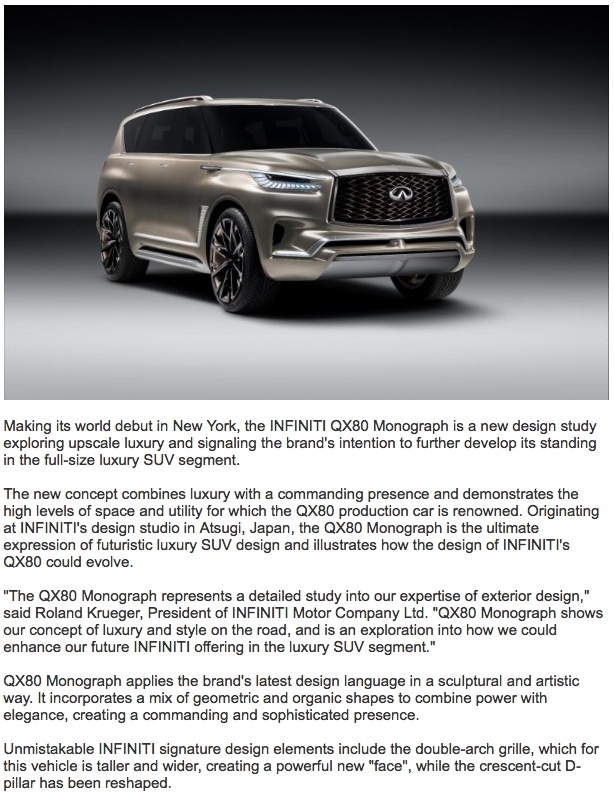 I figured the best way to describe this tribute to big, brash, bad design was to simply reproduce what Infiniti says about this poorly-formed issue from the design studio.